No longer confined to the entertainment industry’s geographical hub of Los Angeles, Hollywood visual effects production is now a globally dispersed network of innovation in digital effects and computer animation. 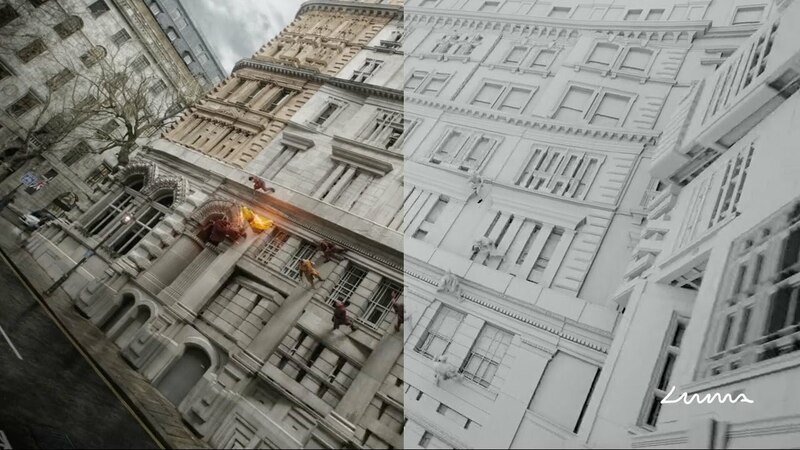 This global VFX industry is made up of hubs around the world, in major cities such as Vancouver, London, Sweden, Wellington, and Melbourne (to name only a few), which contribute to Hollywood’s biggest (and sometimes smallest) blockbuster movies. In Melbourne, two studios work primarily on Hollywood feature production: Iloura and Luma Pictures, both located in South Melbourne. Iloura has worked on productions such as Ted (2012), Mad Max: Fury Road (2015), Ghostbusters (2016), Game of Thrones (2016), and Deepwater Horizon (2016). Luma Pictures has a long-sustained relationship with Marvel Studios, with recent work including Ant-Man (2015), Captain America: Civil War (2016), and Doctor Strange (2016). Both these studios are compelling case studies in this research project, each providing different perspectives on the state of Melbourne’s roles in this global VFX industry. This research project considers how the dynamic between Hollywood and Melbourne can be conceptualised as a spatiotemporal convergence of divided locations and production workflow. The temporal role of post-production in the workflow process is problematised by the blurring of pre-production, principal production and post-production, and thus the geo-virtual incorporation of Melbourne into Hollywood as a result of digital production. Therefore, this research is interested in how the global dispersal of VFX raises new questions about the nature of location in the context of digital movie production, examining whether there is an effacement of the local and how this impacts an understanding of the relationship between local creative labour and creative achievement. Tara Lomax is a PhD candidate in Screen Studies in the School of Culture and Communication. Her research focuses on the networked conditions of franchise cinema and the relationship between creativity and industry in contemporary Hollywood cinema. Tara is also a postgraduate member of the Transformative Technologies Research Unit. The Digital Studio's lunchtime seminar series showcases research projects of internal and visiting academics from across the digital humanities, arts and social sciences. Bring your lunch and your appetite for engaging research.